Can you defend your faith, when skeptics ask you the tough questions? I work at a state-run university, so as we get geared up for a new class of entering freshmen this week, I have a recommended new resource (or more) that can help equip anyone… and particularly students … with good answers. 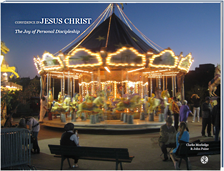 The Christian Standard Bible (CSB) is the next-generation version of the older Holman Christian Standard Bible. 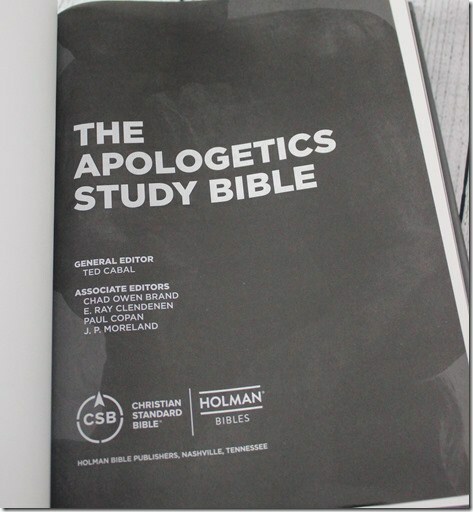 The CSB translation was released in March, 2017, and has recently been incorporated into The CSB Apologetics Study Bible, which I have the pleasure of reviewing. Wish I’d been there for this event. Do We Need Arguments for God’s Existence? Poll results consistently show that approximately three-quarters of American adults believe in God, with some polls reporting more than 90 percent belief. Given such a strong majority, what is the value of studying arguments for the existence of God? Far fewer people believe that Jesus is the only way, or that the Resurrection was an actual, historical event. Why not concentrate on apologetic arguments targeted at religious pluralism or historical evidence for the Resurrection? Simply this. There are powerful arguments for the existence of God, and the value of learning these arguments is not limited to being able to defend theism against the minority of adults who believe atheism is true. Studying these arguments can produce strong reinforcement of the Christian faith, and a much deeper appreciation for the nature, power, and character of God. For those attending or following our personal discipleship class, here are the slides from this week’s session on apologetic reasoning. The slides contain hyperlinks to videos and related material. In terms of resources, the most useful item might be the link to the 2015 Veracity’s Top 10 Scorers List. If you want a good grounding in apologetics, study these apologists, professors, theologians, philosophers, and authors.